As many of you know, I am the Master of the 4X Universe here at videolamer (self proclaimed, patent pending). 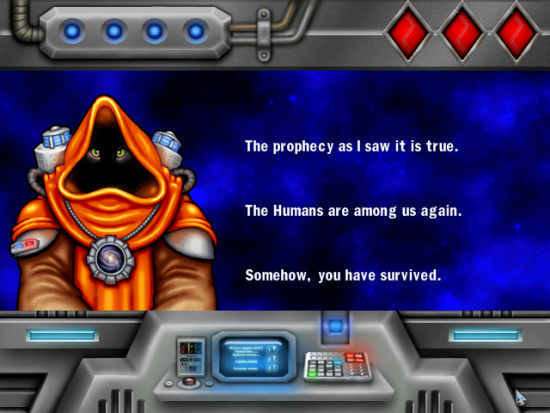 The echoing of these proclamations is so great, it reverberated from my mom’s basement where I live and into Dreamspike Studios and so they sent over a copy of Space War Commander to review. Poking around the manual and the website, I was intrigued by the presence of starports, cruisers, interceptors and destroyers, along with asteroids to capture and harvest, and began eagerly looking forward to a sort of Spaceward Ho-esque game. I began to get excited, but I also had this vague nagging feeling in the back of my head that something wasn’t quite right. You sunk my battle ship. This feeling was correctly placed: although you have the usual things to expect in a game titled Space War Commander, including seven different ship types to build, asteroids and planets to control and enemies to slaughter, Space War Commander is not actually a 4X game. It is in fact a half strategy, half puzzle game where being the best macro economic controller and combat micromanager will not guarantee you victory-but you will be bringing those skills to bear. I typically hate puzzle games, but I was tricked enough that I decided to press on. I quickly found that the standard capture, control, build up a horde and go strategies don’t always work. Instead, you need to analyze the situation you’re up against, figure out how to best make money, avoid dangers, and ultimately slaughter your opponents. To keep things challenging, your starbase slowly degrades on every map, and you can’t repair it, forcing a static time limit to solving each puzzle. To make things downright sadistic, if enemy ships fire on your starbase, it takes damage, further reducing your time remaining. Although the game might seem limited at first seven ship types, one currency, and a static trading system aren’t exactly Master of Orion – it is enough of a toolbox when combined with the game’s scenario based AI to yield endless (or at least 30) scenario maps and an infinite “gauntlet” maps. 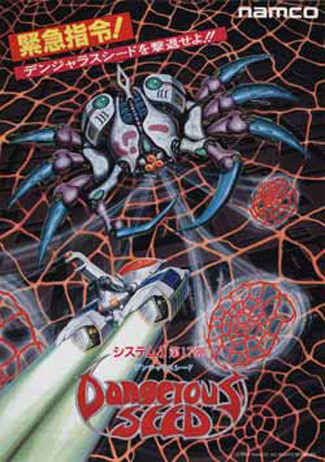 Each level has opponents who behave differently – some will routinely send one ship type after you, forcing a defensive strategy, others will mass up and attempt to crush you. In other maps you need to carry out specific tactics to generate the income required to beat your enemies. Often the winning strategy(s) may look like certain doom at first and then turn out to be the “correct” answer, but you don’t figure that out unless you say “what the hell” and roll the dice with your strategy. To be clear, Space War Commander is not an RTS or typical 4X strategy game. For example, when ships are in the same sector, they fight, but their targeting is random. As a result, there’s none of that micromanaging focus fire stuff you might be used to – combat strategy is about intercepting the enemy or striking with overwhelming force. But this aspect, combined with the variable strategies for victory, result in a surprisingly deep, replayable and at times frustrating game – but Dreamspike did warn us that it was hard. Humans? I thought we sprayed for those. My biggest gripe about the game is that I don’t feel this game is optimally suited to the PC platform. This is a fun game, and well priced at $20, but when I play on the PC, I almost exclusively do so to play a game that maximizes the use of my PC, such as Eve Online or Civilization 4. 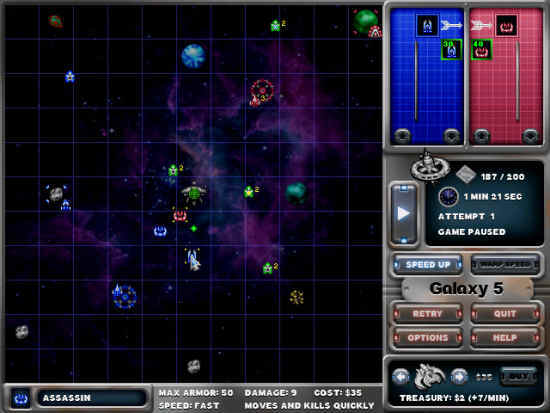 If I had my way, I’d put Space War Commander on the Nintendo DS. It very much reminds me of Lock’s Quest in terms of depth and the bite-sized scenarios are ideal for commuting and gaming. The presentation is clean and doesn’t try to be something it’s not. This is my own personal caveat however, if you’re the type who plays games for gaming sake (like someone who plays Uno on Xbox Live) playing a game like this on a PC won’t bother you. Like any savvy developer, Dreamspike provides a free demo of Space War Commander so you can try before you buy. If you’re a fan of this sort of half-4X-strategy/half-puzzle game genre, you’d be dumb not to go over to Dreamspike’s site and at least give it a try. Then again, if you’re dumb, you probably shouldn’t be playing puzzle games, now should you?